Fascinated by anthropology and archaeology, Canadian photographer Owen Murray has spent the last decade documenting cultural heritage projects in Cameroon, Turkmenistan, Oman, and Egypt. With camera to hand like a companion, he employs photojournalist strategies and graphic attention to line and movement to contemplate the cognitive disassociations by which we create abstractions, establish boundaries, and constitute myths. His images slice into a clash, or synchronous dance, between shifting realities that depend upon each other to exist. Remove one, and the other ceases to be. Murray’s photographs subvert the notion of culture “in transition” to create ethnographic narratives of space and time that attend to the “eye-heart-mind” of being present in a moment. 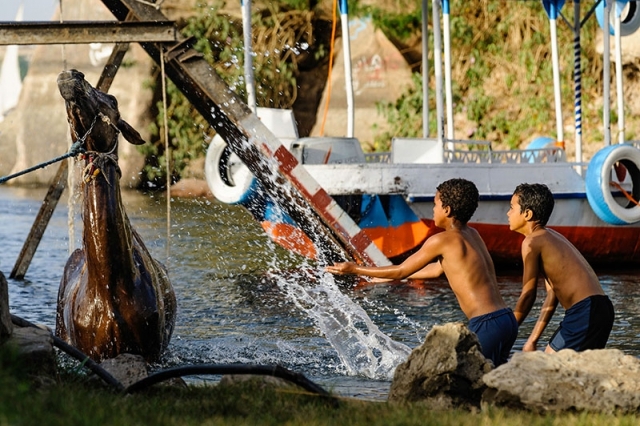 For A Horse Led to Water (2010), Murray used manual focus to capture the pleasure of Nubian children in Aswan learning to bath a horse following a day’s work. The unaltered photographic capture of momentary tension between present, past, and future calls up the imaginative cocoon of myth and the affective, embodied connections that shape experiences of place. It hints at a unifying narrative that extends beyond human identity and into our metaphysical relationship with animals, objects, and landscapes. The Marine Drive Station is curated by Megan Jones, School for the Contemporary Arts at Simon Fraser University. 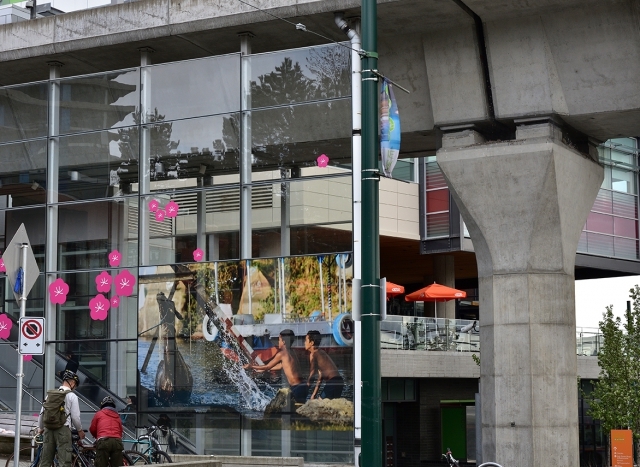 For the multi-sited public art project On and Off the Road, Capture has installed photo-based artworks on the exteriors of Canada Line stations across Vancouver. The series broadly considers how modes of mass transportation can simultaneously be places of intense control while remaining emblems of freedom and adventure in the Western pop cultural imagination. The artworks consider the road narrative in modern and contemporary art, literature, and film, as well as the limits of that narrative and the need for alternatives.